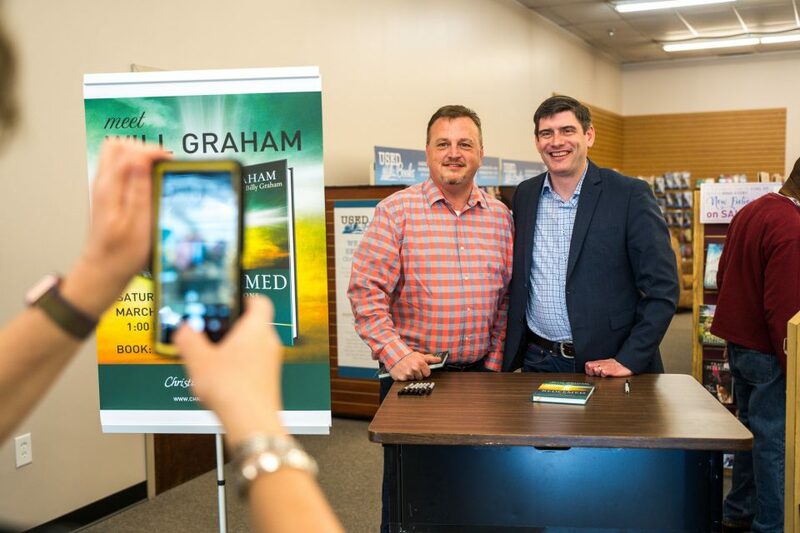 On Saturday, a crowd joined Will Graham at his book signing for Redeemed: Devotions for the Longing Soul at Christian Supply in Roebuck, South Carolina. Released last fall, Will's first book includes 50 devotions about understanding God's love. 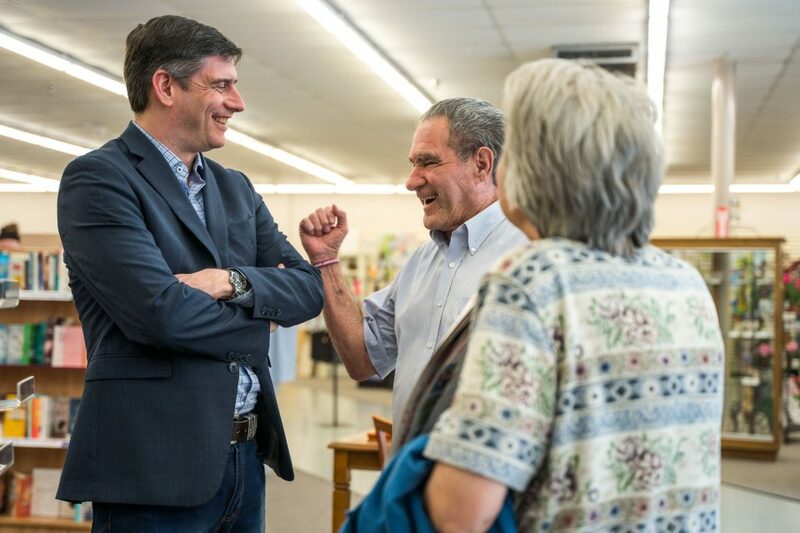 Wearing a warm smile and striking up friendly conversation, Will was excited to meet readers in the Spartanburg area. You can buy your copy of the devotional book here. 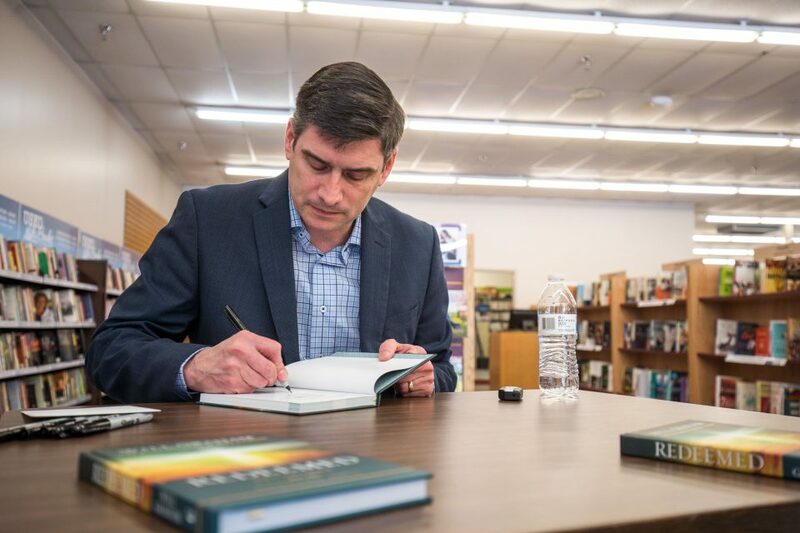 As vice president of the Billy Graham Evangelistic Association and executive director of the Billy Graham Training Center at the Cove, Will aims to help people draw close to Christ. Taking a photo to remember the special day. 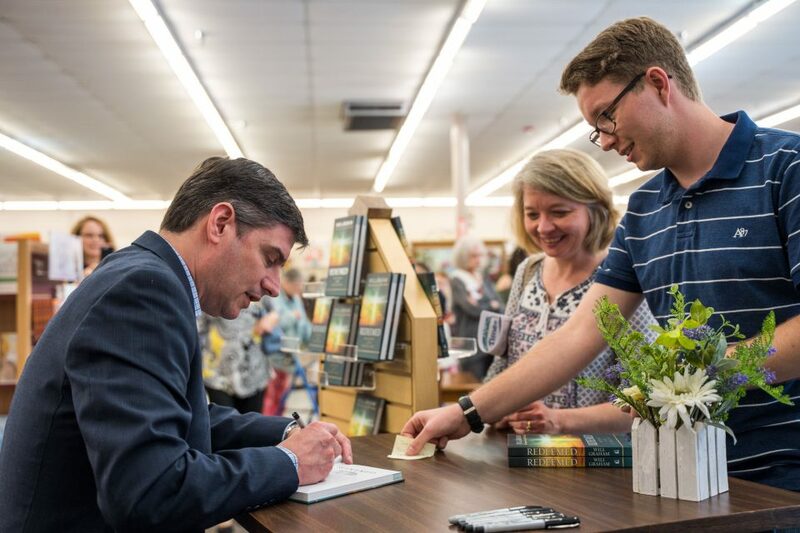 In his book, Will shares about having hope in God and challenges readers to do the same. Featuring several personal stories and family photos, this devotional includes anecdotes about people who have touched Will's life. 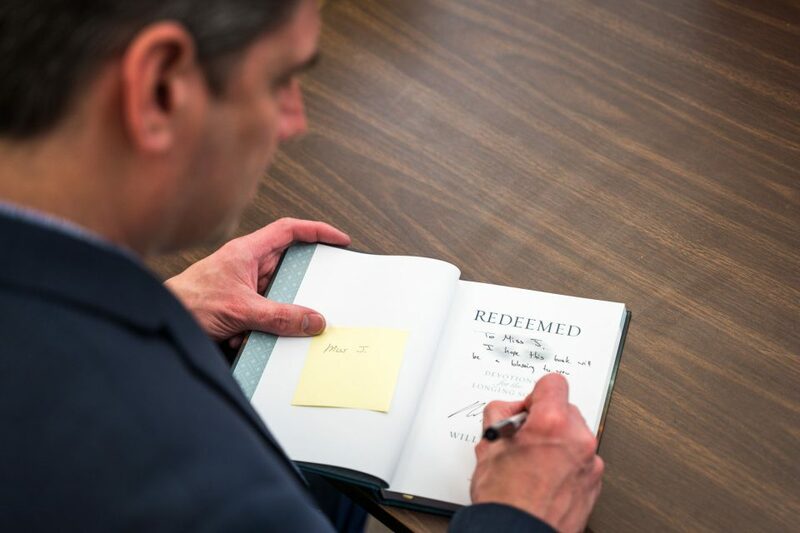 Here, he adds a personal message when signing a copy. 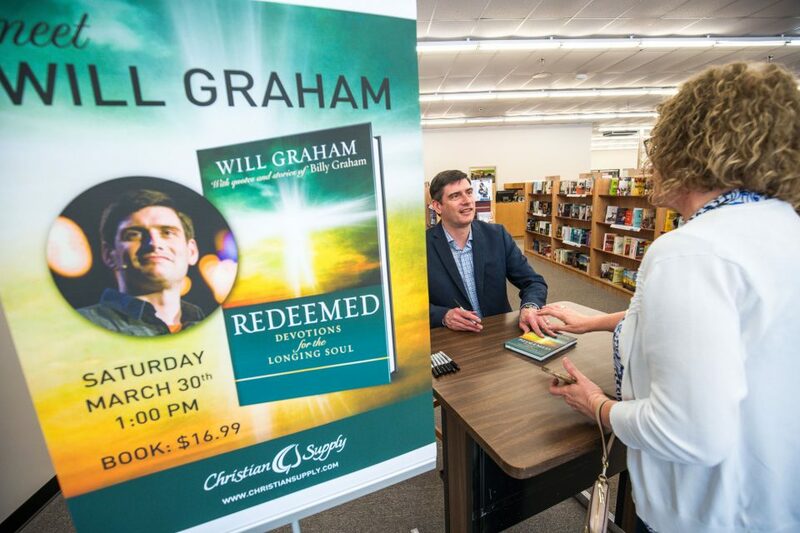 In Redeemed, Will writes: “The Bible tells us that God—only God—can fill the void inside of us. Not only that, He satisfies that longing with goodness—not more pain or hopelessness and not more chores, requirements, or broken promises; no, He satisfies us with His goodness!” Read an excerpt from Redeemed: Devotions for the Longing Soul.